The PETKIT P2 Smart Activity Monitor Pet Tracker is an effortless way to track your pet’s activities, with such parameters as sleep tracking, calorie expenditure, mood detection, and a health analysis. Synchronize PETKIT’s software with the downloadable App to load additional applications. 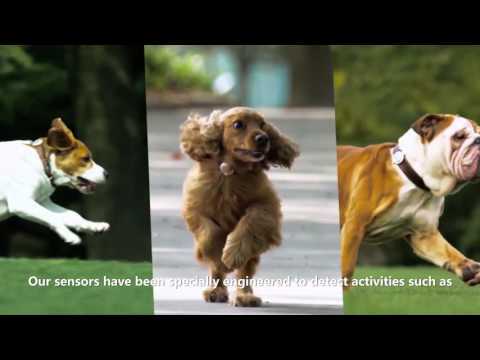 Activity Monitoring: An adapted and advanced sensor, P2 records pet activities 24/7, collects the information and sends it to the cloud for calculations and analysis, and finally reports your dog‘s actual performance on the downloadable App available on all Android (Google Play) and IOS (Apple Smartphone) devices. The P2 model is Bluetooth 4.0 capable, and collects and synchronizes all such activity data right into the cloud and onto your smartphone device. This device features a state-of-the-art, built-in high-performance processor and a highly sensitive low powered 3D monitor capable of sustaining a 4 - 6-month battery life depending on usage. The application is social-active, further allowing users to chat with other users, and share, like, and post photos or videos. This highly interactive application also features a built-in calendar, which further enables users to set medical, feeding, grooming, deworming, vaccination, and de-fleaing, among other reminders, right onto your smartphone device. Consumption Record: According to your pet’s information, recorded by P2, the expended calories can be precisely calculated. Combined with foods and consumption trends, the quantity of food your pet consumes can be controlled clearly. Combine this device with any PETKIT Fresh Bowl (sold separately) to track caloric consumption and calories burned. Fit Record: “Today's mood is happy. Health condition is under the standard; Insufficient in total activity time; Too much intense activity time today; Deep sleep time insufficient.” Detailed daily performance with 24-hour continual detection. Included Model CR2032; easy to buy and change. Service time is 4-6 months. Will this track my dogs water consumption? BEST ANSWER: PET-KIT Fresh Bowl tracks water consumption. I have attached item's number. Will the pet fit activity monitor tell me the actual location of my dog? Can I track my dogs location with this? BEST ANSWER: No it designed for use as a GPS it monitors health of your pet only. Define "water resistant" please? My dogs are known to jump into ponds, lakes etc -- but not swim for hours! BEST ANSWER: Water resistant in this case means that moisture such as snow or rain will not affect how functional this device is to a point. It cannot stay in a state where it is constantly in contact with moisture and still work properly. Water resistant does not mean that this can be submerged and still work. To be able to be submerged and still work an item usually is classified as water-proof , not water resistant. These are general definitions, there is no industry standard that forces an item to be classified as either water-resistant, water-repellent or water-proof.